Hospice West Auckland provides specialist palliative care at no cost to the people of Waitakere. Each year the Hospice celebrates and remembers the lives of people who have passed away, and enjoys the spirit of Christmas with the Waitakere community at ‘Light Up Hospice’. Last year the event attracted over 1000 people. 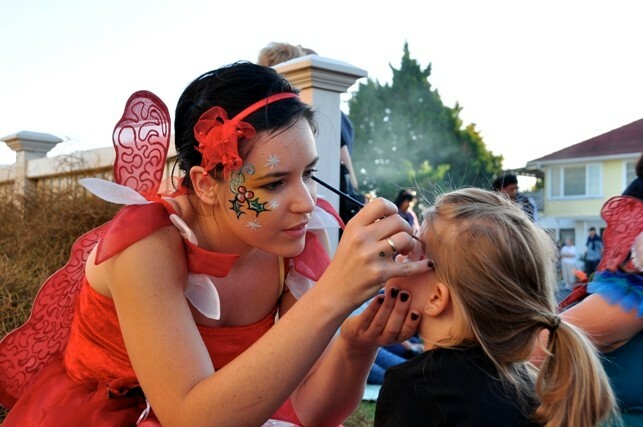 Light Up Hospice is a fun, free, family event for the whole community. 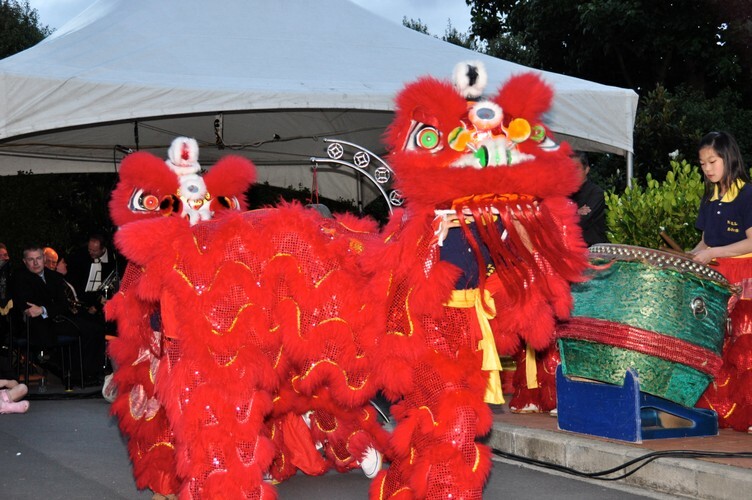 Entertainment includes face painting, Father Christmas, fairies, a Chinese dragon, carols, musicians and more. As dusk falls the anticipation rises and when it is dark enough the beautiful lights strung over Hospice House are turned on in a stunning tribute to the members of our community who are no longer with us. This year there will also be a Twilight Walk down to the end of Beach Road and back. The gentle stroll will lead people on a fan trail down to the Peninsula to admire the spectacular view across the water to the Sky Tower. The fan trail will be led by Aidee Walker, who played Draska on Outrageous Fortune, and there will be lots of exciting art works, musicians and performers to discover along the way. Remember to bring some gold coins so you can enjoy a sausage sizzle or a snack, buy a candle or enter one of our fantastic raffles. Prizes include a Christmas Hamper and a Les Mills New Lynn year-long gym membership worth $1734.40! 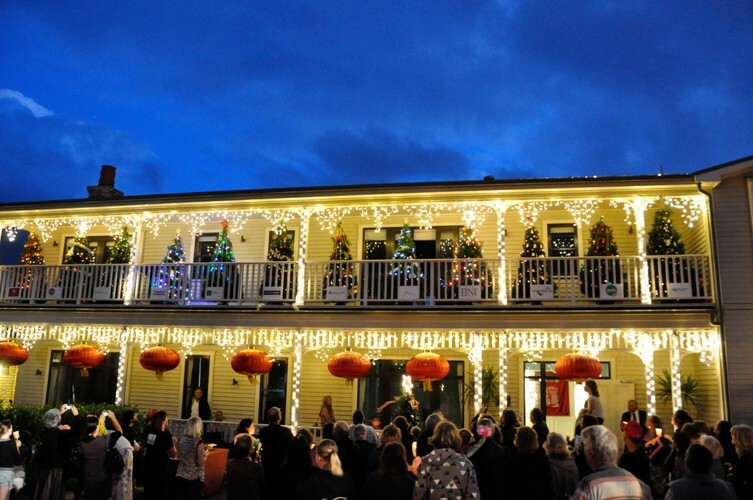 Light Up Hospice is generously supported by Morrison Funeral Directors, Les Mills, Davis Funerals, Ritchies, John Andrew, Corban Revell, Maitland and Associates, Frog Recruitment and many other local businesses and organizations. 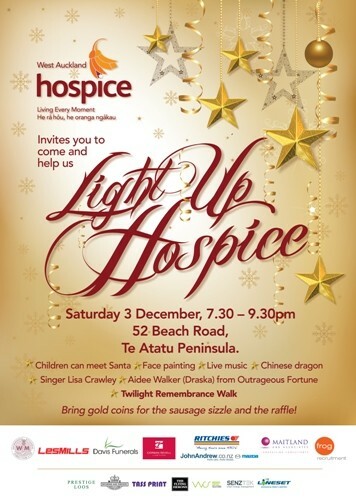 If your community group or organisation would like to be involved in Light Up Hospice, please call Kathryn on 834 9752.